We have featured any number of documentaries on Kuriositas but this is the first to cover events which have yet to take place. Set a few decades from now, Project Kronos tells the story, through the words of key personnel involved, of a mission to achieve interstellar travel for the first time. In order to facilitate this, scientists have gone to extreme (some might say unethical) lengths to ensure that images come back from the mission once it has launched. If I said it involved the most sophisticated computer ever evolved then you get the drift. Written and Directed by Hasraf 'HaZ' Dulull (who has worked on Planet Dinosaur, Hellboy II and The Dark Knight among many other TV series and movies), Project Kronos does cover some familiar territory – then what science fiction doesn’t if truth be told? That said, this is done with great style and intelligence - and it was thought-provoking to see the narrative pursued in a documentary manner which is a difficult trick to pull off. It's also great to watch something in this genre that doesn't give us all the answers but proves a more than satisfactory watch nonetheless. The letter above has its permanent home in the Mani Bhavan (Ghandi Museum) in Mumbai. It seems an unlikely set of pen-pals as could ever be imagined but you can rest assured that Gandhi never received a response. The letter pleads with Hitler to reconsider his policies which would lead to war and is deferential, to say the least, in tone. What I particularly like about this letter is the almost child-like uncomplicatedness with which it is written. Hitler is, in effect, being told that to stop is quite simply as easy as that. Gandhi skilfully skirts the issue as to what may be the underlying causes of Hitler’s possible future actions but points out what their consequences will be in no uncertain terms. One can only imagine the fury this engendered if it ever reached Herr Hitler’s desk. Some historical contextualization is needed here. The letter was written on 27 August 1939. Hitler had already annexed Austria in the previous year. The Sudetenland area of Czechoslovakia had been conceded and the rest of that unfortunate country had soon after been invaded and split in to two parts (one a Protectorate the other a client state of Germany) in March of 1939. It may have been after this that Gandhi had been urged by his friends to write to Hitler in an attempt to arrest a descent in to all-out war. However, his letter probably never arrived on time. On 1 September 1939 Germany and its client state of Slovakia invaded Poland. France and Britain had shortly before pledged their commitment to the independence of Poland and so it was that the Second World War, which was to claim the lives of 75 million people, truly started. You could consider Gandhi’s attempt at conciliatory intervention naïve to say the least. 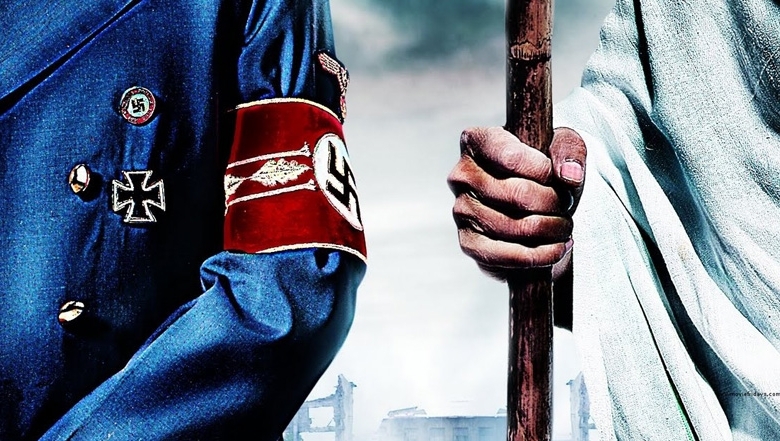 Yet it must be remembered that the true extent of the Nazi evil had yet to be uncovered or committed (everyone knew Hitler’s attitudes to Jewry and other minorities and ethnicities but had not yet the awful imagination to consider its true implications). It could also be a surprise to see Gandhi addressing Hitler as friend. It was common practice among Indians at the time to address people they did not know in this way. 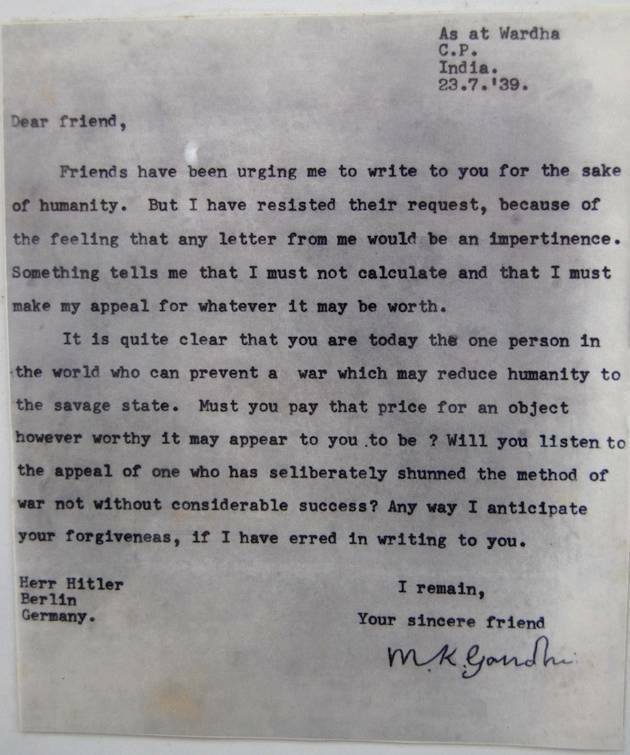 As an appeal to Hitler’s better nature (Gandhi here was certainly the eternal optimist) it was paramount that he did not catalogue any of the Fuhrer’s previous political mistakes or abuses of human rights – that would have ensured no audience for the letter at all. Just a few days after this letter was written Poland was invaded and what Ghandi was trying to persuade Hitler to avoid came to pass. At some point in the future an individual manages to make contact with one in the past and he recounts to the incredulous listener how the world has changed out of all recognition, as well as those who inhabit it. 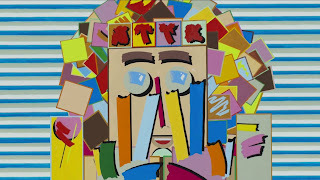 Combining 2 and 3D animation techniques with a marked graphic, pictorial style, Mountains is the work of Ronny Traufeller who created it as his degree thesis. Believe it or not he has been too shy to share this with the greater world – Mountains was completed in 2009. Well, we are very glad to have it among us now, Ronny! There comes a time in most relationships when confessions have to become the order of the day. You have met, fallen for each other but there is that little something that you have previously failed to mention. If you don’t bring it in to the open now you will always be afraid that the relationship might falter should it come out in the future. For one half of a pair of happy science fiction fans that moment has come. The secret must be revealed – that he likes those movies, that he is a Star Wars Prequel Apologist. Will this tale have a happy ending? Watch and see, though perhaps the moral of this particular tale could be quit while you're ahead! Written, directed and edited by Robert Ronan I have to say that this gave me a chuckle – mostly because I have seen scenes similar to this played out in a number of relationships. This particular couple is played by Cat Tran and Patrick B (perhaps that’s his name or perhaps he doesn’t want to risk being found guilty by association!). Despite this rather glum premise, A Short Film About Love and Fate and Death, directed with panache by Jonathan Mills, is actually rather funny. 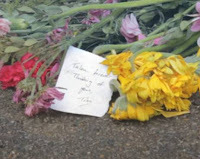 It also makes something of a statement about the modern British phenomenon of leaving a forest of flowers at the scene of each and every hapless individual’s demise. I blame that Princess Diana myself. Originally published in Poetry, The Mysterious Arrival of an Unusual Letter is an enigmatic piece by the Canadian-born American poet, essayist, and translator Mark Strand. You can guess what the poem is about from the title but its content is rather less straightforward – you could even go as far as perplexing. Still, it is an excellent subject for an animated short and animator and director Scott Wenner has risen to the challenge. 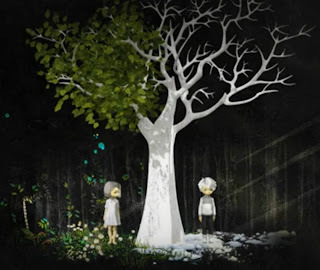 It is an elegant and pared back animation and brings out the words of the poem beautifully. The mellifluous narration by John Olive is the icing on the cake. On May 14th Wild Nothing are set to release a new EP Empty Estate via labels Captured Tracks and Bella Union. The Painter Eric Shaw has designed all the Artwork to go along with the EP and we animated his paintings for the lead track from the EP "A Dancing Shell" as the Official music video. It was animated entirely in After Effects. 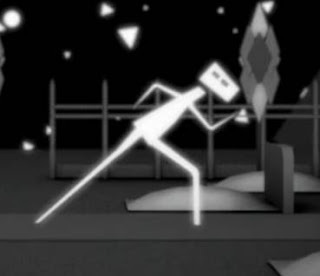 The video is directed by Hayley Akins with animation by Hayley Akins and Andy Williams. Sponsored article. If this doesn't put a smile on your face then nothing will! 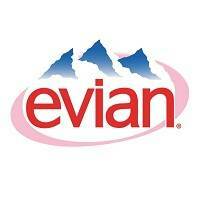 You must remember the Evian advertising campaigns a few years ago with the roller skating babies, swiftly followed up by the 50,000 baby dancers? Well, they say that all good things come in threes and this new campaign – very appropriately called Baby and Me – puts the veritable icing on the cake. As with all good advertising the premise is simple. A man is walking down the street minding his own business when he comes across a mirror which reflects back at him a young version of himself – a very young version! Presented with this reflection he cannot resist trying out a few moves – and that’s where this ad gets very funny. No sooner does he start experimenting with his baby reflection, other people in the street discover that they can participate too. Soon, young and old are baby-bopping with their miniscule mirror image! Evian have really hit the nail on the head now and improvements in CGI means that the dancing babies are even more realistic than in the previous ad campaigns. As the participants enjoy themselves on screen it is impossible not to smile yourself and reflect that they have pulled off something quite astonishing and exhilarating yet again. In the near future watch out for the Baby & Me app (of course!) which will, thanks to face recognition software, enable you to ‘babify’ yourself – not to mention your friends and family. We all enjoy James Bond’s post-mortem one-liners even though we have been expecting them for decades and each new one doesn't really get much better than the last. 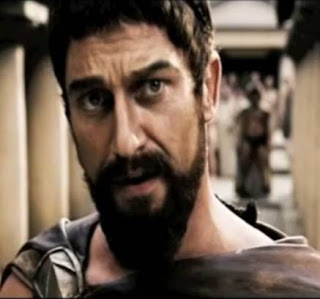 Somewhat overshadowed, it seems, are the pre-mortem one-liners – that pithy remark or comment made just before delivering the final blow or gun shot or laser blast to the arch enemy of the movie (or just one of the baddies). Plot Point Productions have put that right with this montage of one-liners that happen just before someone gets their comeuppance. There are what you might call the usual suspects here, Clint, Bruce, Samuel and Arnold along with relative newcomers like Gerald. There are also one or two which might surprise you. Plus there are variations on a theme – perhaps "[place a verb in the imperative here] THIS!" being my favorite with a number of contributions shown here in all their gory glory. And – hurrah! – as well as the pre-mortem liner, the last part of this video shows us the mortem too. I suspect this may be the highest body count Kuriositas may have ever hosted (and apologies to those of you who don't like extreme words, there are a few of those in here too!). At the risk of sounding ever so Austin Powers, Our Man in Nirvana is groovy, baby. Created by Jan Koester it is set at the musical height of the nineteen sixties. John is a flower power rock and roll star at the height of his psychedelic fame and success. Yet things don’t go quite to planned at a concert and John wakes up in Nirvana. Or at least, near the gates: first he has to face his wishes and deeds – what he did and what he might have done. On the face of it that all sounds rather, well, well-intentioned but a little routine – but watch this as the animated short is full of surprises. Our Man in Nirvana may be set forty years ago but it has very modern sensibilities when it comes to storytelling (not to mention humor). To begin with, it starts as a shadow puppet story but once John has slipped off his own particular mortal coil the film does a swift Wizard of Oz on us (you will see what I mean). There are also a number of twists in this particular tale and the ending took me by surprise. This is Jan Koester’s graduation film which he made at the Konrad Wolf Filmschool in Potsdam (Germany). He is currently an animation director at the Talking Animals Animation Studio. When you are all washed up on an island in the middle of nowhere you make do and mend. 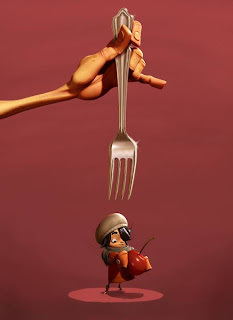 That is the case with the hero in this animated short by Donia Liechti and Vicky Penzes. Yet just as things are going swimmingly a pesky seagull turns up to make his life a misery. He isn’t going to stand for that so a chase ensues! It may not be the most attractive orchid on the planet - at least to our eyes. 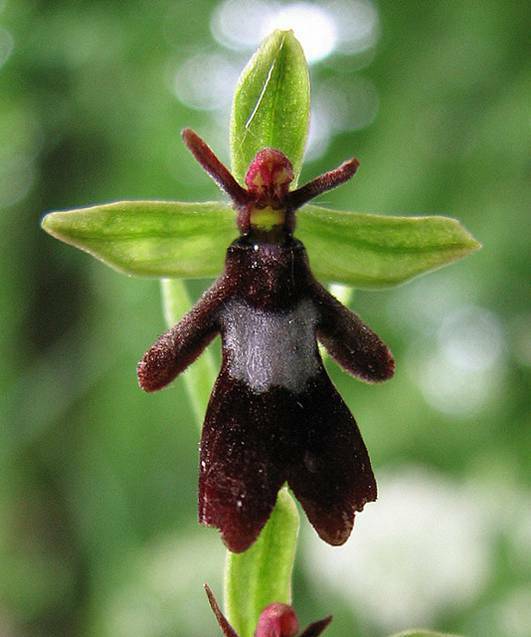 Yet the Fly Orchid (Ophrys insectifera) has come up with an ingenious way to ensure that it is pollinated. Its flowers look like flies and its scent mimics sexual pheromones. This combination attract hordes of male insects, themselves simply attempting to ensure the continuation of their species. These unwitting insects are enticed in to performing the act of reproduction - on a flower. The fly orchid is the agent provocateur of the plant world. 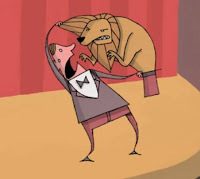 Joseph Wallace who is a director based in Bristol in the UK has just released his BAFTA Cymru nominated animated graduation short The Man Who Was Afraid of Falling. The hero of the story is Ivor, understandably proud of his potted plants but when one falls from its window ledge position Ivor’s unconscious fears about falling become real. 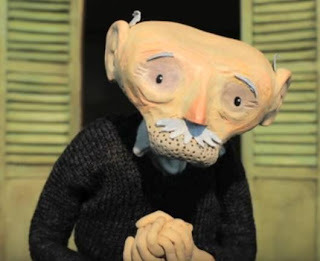 It’s a real treat to be able to feature this short on Kuriositas as it is superbly made and very funny in a melancholy way (understandably nominated for a Welsh BAFTA as it captures the Welsh sense of humor with great accuracy!). The Man Who Was Afraid of Falling has won a number of awards, including Winner 'Best Animation', One Voice Festival 2012, 2nd Prize Royal Television Society Student Animation Award, Winner of 'Best Up-and-Coming Talent Award 2011' Canterbury Anifest and winner of 'Best Film' Newport Animation Awards 2011. This is probably one of the happiest animations I have seen, ever, on the subject of imminent death. Space Bound essentially asks the question if you knew you were going to die in the very near future then how would you choose to spend your last moments? 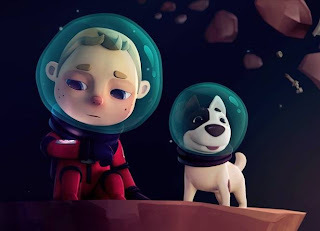 It’s a beautifully optimistic short despite the fact that there isn’t a rescue ship in sight at the end and its jollity somewhat belies the fact that our two protagonists are not too long for (out of) this world. Yet even so this is not a story about the end but about the journey one chooses to take on the way there. Space Bound was created by animator Kyle Moy and 3D artist Ellen Su who are both senior at the School of Visual Arts in New York City. Here’s a suggestion for when you graduate, Kyle and Ellen – don’t bother with a résumé – just send out Space Bound with your email addresses. 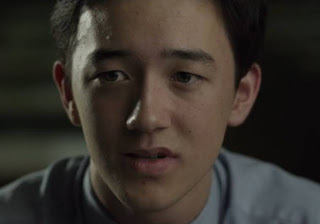 Darren is a young man with a history who finds himself in way over his head. Enigmatically, we aren’t told anything about the lead up to the situation we discover here: Darren, a Londoner, is in a cheap Parisian hotel room with a girl who obviously doesn’t want to be there. It’s Darren’s job, in fact, to take the girl – the packet – to the Mafioso. Painting a back-story (a hobby of mine), perhaps Darren is a gambler with heavy debts who can have them written off by doing a single job, escorting this mysterious girl to her fate. Yet the more he is with her the more Darren’s natural integrity kicks in. Fifty Pence is a short film written, directed and produced by Eric Kolelas. He also plays the lead alongside Anoushka Ravanshad as the inscrutable Karina. It’s an excellent performance from Kolelas: you can almost hear the cogs whirring inside Darren’s head as wonders how on earth he got himself in to this situation – and indeed how he is going to extricate himself from it. Fifty Pence is a short film which trusts the audience to do some work rather than just sit back and take it all in. We are permitted to write our own back-stories here – as well as, ultimately, to decide what happens to Darren and Karina next. The beautiful Mediterranean island of Corsica is home to some of the most beautiful landscapes in the world. 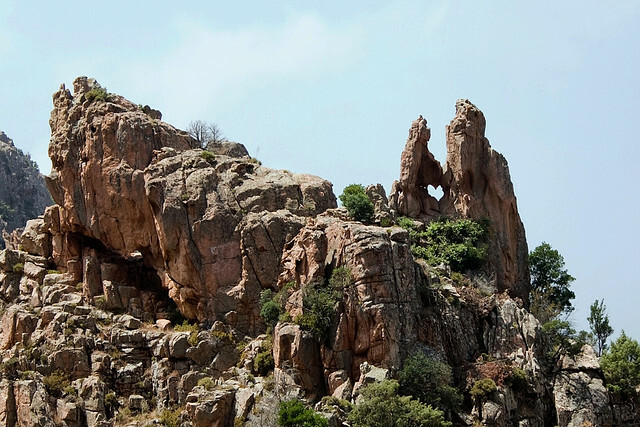 Just south of the small village of Porto in the west coast of the island lies the heart of Corsica. Literally. Eric Zaragoza is a big fan of three things: science fiction, filmmaking, and video games which may not make him that unusual in 2013, the nerd having well and truly risen. Yet he has done something a little more adventurous with his time than your average science fiction, filmmaking, video gaming fan boy. He has combined all three to create Dead Space: Chase to Death. It is inspired by the video game of the same name and I have to say, for a fan-made film (on, I am assuming, a limited budget) this looks amazing – and it made me jump a couple of time too. The Dead Space series (if you know this, skip this paragraph) is a hugely successful game now in its third incarnation and follows the gore-drenched adventures of engineer Isaac Clarke and (what remains of) his crew aboard the mining ship Ishimura which they had been sent to investigate. On board they find the ship overrun by necromorphs (twenty sixth century zombies, effectively) which of course our engineer (named after Isaac Asimov and Arthur C Clarke) has to fight his way through. There’s more to it than that but you get the drift. 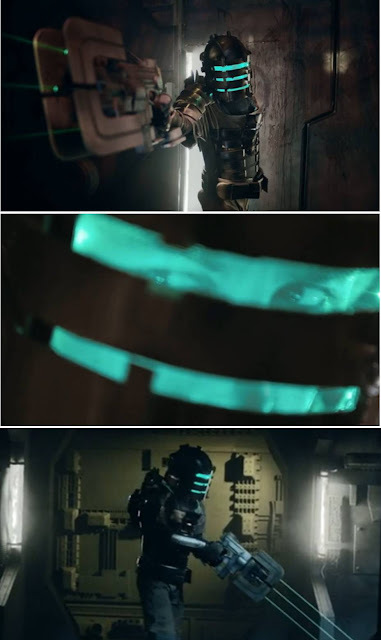 I think any fan of Dead Space will really enjoy this lovingly made tribute to the massively popular third-person shooter survival horror video game. It seems a number of the team at Visceral (the maker of Dead Space) have already seen it and given it their seal of approval – and who wouldn’t? It’s great! Taking place in a colorful and musical universe, Al Dente is a short film which tells us the story of a little street girl discovering the magic and the dangers of an ogre's kitchen. 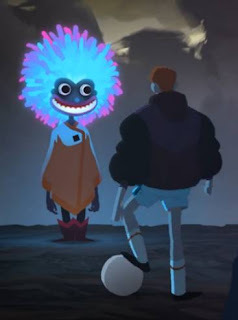 It isn’t quite as harmless as it sounds – I am pretty sure that some of the imagery used in this animated short would have given me nightmares (up to the age of, oh, about 25) so do watch this first before you decide to show it to any small people in your household! After all, Al Dente as a term describes when something is cooked so that it is firm but not hard, something that still offers resistance to the bite but is nevertheless cooked through - and that is how the ogre likes to eat the children he has captured! Al Dente was created by Mael Francois, Carlos Felipe Leon and Jean-Francois Barthelemy for their graduation project at Supinfocom (yes, I should just change the name of Kuriositas to Animation at Supinfocom, I know).. Music is by Matthieu Alvado. It only takes a single question in a French test for the mind of seventeen year old Charlie to veer off on a million and one tangents – but one in particular. As much as his mind wanders it keeps returning back to the same person again and again. It might be love but for Charlie this just raises a whole heap of new issues. Yet he has the gift of the gab (that’s for sure!) and as the hazy dawn of a crush becomes the blinding light of his first love Charlie talks and comes to a conclusion (which of course has to be ultimately done through the medium of French!). This charming short film, essentially a monologue of thought before action, is reminiscent of the style of Alan Bennet’s Talking Heads. Engagingly and self-assuredly performed by Kim Ho (who also wrote the piece: one suspects we may be seeing much more of this young actor in the future) The Language of Love was created under the mentorship of playwright Tommy Murphy for The Voices Project from the Australian Theater for Young People. It was directed by Laura Scrivano. This was, I must admit, not quite what I was expecting. 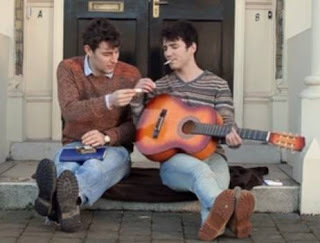 Two young men and a dog play with a football in some bleak corner of a post-industrial British town. Their lives seem as desultory as the manner in which they bounce the ball, only the occasional kick in to the air relieves the boredom as they wait to see how long the ball will take to return through the grimy clouds above them. This is very much England painted in the school of Morrissey where every day seems like Sunday. Yet unlike the song a very individual kind of Armageddon arrives to wreak havoc – and play a little soccer. This somewhat perplexing, beautifully animated short was directed by Sam Taylor and Bjorn Aschim for The Line, an animation collective based in East London. It was made over a period of two years after work and with zero budget. However, they do say who you know is important and Aschim and Taylor were able to draw on the talents of a large ensemble of talented people willing to give a hand. I think Ralph Waldo Emerson said Love of beauty is taste. The creation of beauty is art. Hats off then to Taylor and Aschim because art doesn’t have to be fully understood to be appreciated either (thank goodness). Have you ever heard of Thaddeus Lowe? No, I hadn’t but a quick check on Wikipedia verified that he did actually live and everything that you see here actually happened. 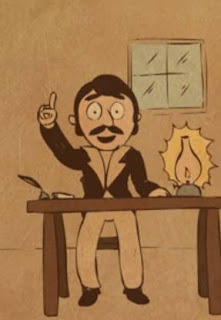 It tells the little known story of Lowe - aeronaut, scientist and inventor who came to prominence during the American Civil War when he performed aerial reconnaissance on the Confederate troops on behalf of the Union Army – in a balloon. Unfortunately his endeavors were not too well received and he had to resign in 1863. This very amusing animated short was written, directed, animated and narrated by Kelly Jones who also wrote the accompanying song which is probably going to be in my head all day now – for which I don’t know whether to thank Ms Jones or invoice her. If Lowe’s civil war activities were not widely appreciated then a later invention was. 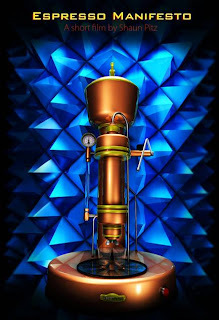 He conceived the water gas process by which large amounts of hydrogen gas could be manufactured from steam and charcoal – his patents and ice making machines associated with this process made him a millionaire. Unfortunately he invested unwisely later in life and died without much to his name – financially speaking at least. We, of course, will always remember him for his services to his country as an aeronaut – not to mention his ballad… “Oh Thaddeus, Thaddeus Lowe… it’s too bad you’re still unknown”. 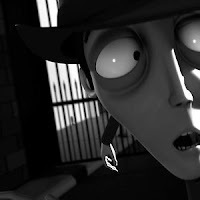 We are not averse to a little film noir on Kuriositas and this animated short has it all – the black and white, the lighting and shadows, the music. Yet as our private eye is pursued by an unseen assailant firing arrows at him there is little that he can do except flee. Watch this till the end though – there is a very cool little twist in this tale! Black & Gold is a student short animation created in 6 months by Nadeem Ghanem from concept to completion at the Vancouver Film School. All concepts, designs and visual elements were created by him so hats off to Nadeem! A while ago we featured Espresso Manifesto, an animated short in the process of creation by Shaun Pitz who is an independent animator working in Michigan's Upper Peninsula not to mention a coffee aficionado. The good news is that Espresso Manifesto is near completion and now just needs an original soundtrack before it can be labelled complete. Now here’s the rub. One of the bylines of the movie is when life hands you beans, make coffee and Shaun needs some beans! Soundtracks don’t come cheap and in order to successfully make that final leap to the finishing point Shaun needs your help. He has started a Kickstarter campaign to raise the final funds for the project and is offering all sorts of goodies associated with the movie in return for your generosity. Take a look by clicking on the poster! Hang on... 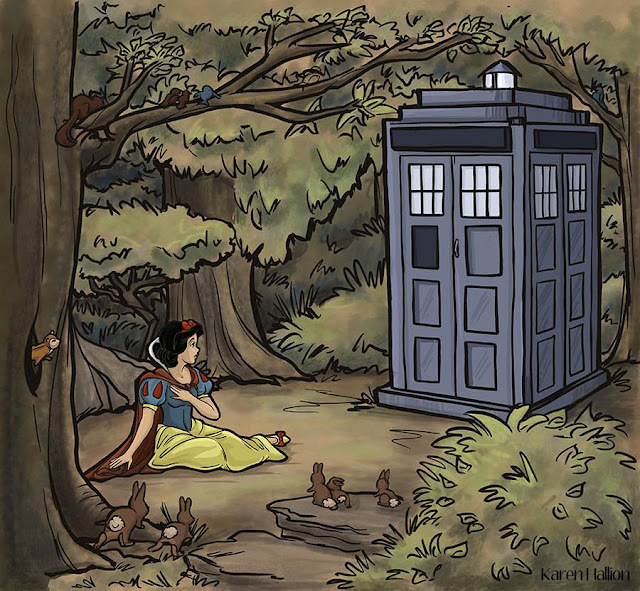 Snow White and the Tardis? 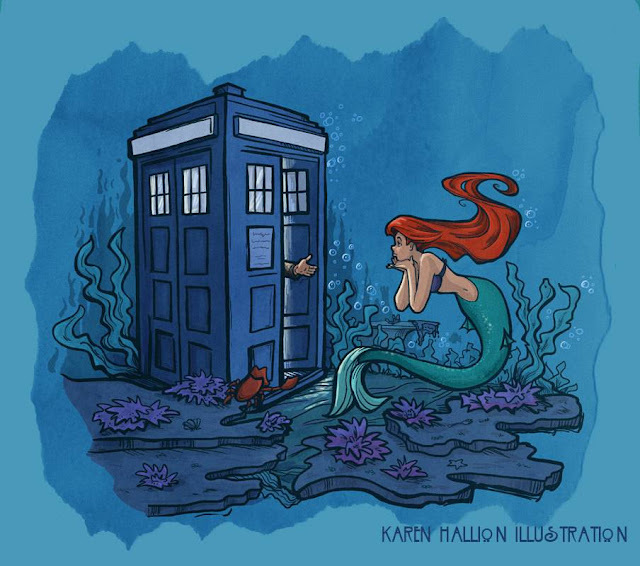 Wait a second, Ariel, the Little Mermaid and the Tardis? What's going on here? 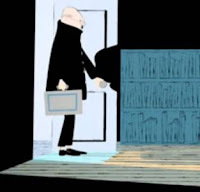 If you know Around the Corner, a comic by Zen Pencils then you will be delighted to discover that it has been made in to a short film, directed by Sahel Takel. Takel fell in love with the comic, as have many others, and wanted nothing more than to put it on to film. Gavin Aung Than, the man behind Zen Pencils gave Takel blessing and permission and recently reported on his website that he was ‘squealing like a school girl while watching it’ and it is a joy, albeit a rather melancholy one, to watch. It isn’t often I can say this either, but I actually saw some of this being filmed. The exterior shots were done just around the corner from where I live in Honor Oak Park in South East London. On my way for my weekend newspaper I was able to have a good nose while the shots of the two kids were being done. So, take a look at the finished film (you may need a hanky). This is an rather enigmatic animation all about the circles (whether ever decreasing or increasing is up to you to decide) that we find ourselves in throughout life until we are inexorably drawn to its end much like water down a plug! That being said, I don’t want you to think that The Circle Line is in any way morbid as it isn’t - even though it might be said to focus on some of our more joyless joys than your average animation. The Circle Line was created by Adam Wells with able assistance from Nic Smith in the sound design department and Joseph Alessio for the typography. 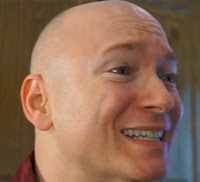 If you want to find out more about Adam and his animations, then go and visit his Facebook page. 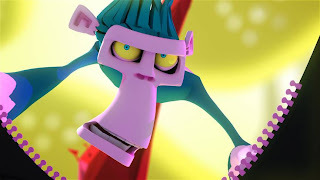 What’s a monkey to do when his rain forest is torn down around him? 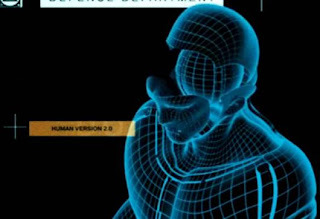 This one, for sure, isn’t for giving up so easily – with the help of a little human technology he recreates himself in the best if you can’t beat them, join them manner possible and joins the homo sapiens in the city. Yet in his heart, despite his many successes in the world of the humans, there is something missing. Will he finally restore the balance to his life? 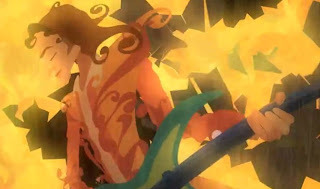 You will just have to watch this amazing, multicolored animated short from 3DAR to find out. 3DAR is a creative studio from Buenos Aires. It is a group of creative individuals that has been evolving together for over 7 years. They are currently developing commercials and art for a number of top brands and pride themselves on their project work which they take from concept to the last stage of refinement. In terms of a calling card, Shave It! certainly showcases the group’s creativity, storytelling abilities and ability to get a message across to an audience beautifully. This should really be dedicated to those of you who leave your spectacles in the fridge and your mobile phone in the bathroom cabinet and then try to make a call or brush your teeth with other household objects. 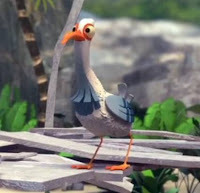 Written, directed and animated by Joost Lieuwma this is a very funny reminder that some things in life are best not mixed up! Joost Lieuwma graduated in 2005 at the Utrecht School of Arts with his animated short 'Once upon a time in my wife'. Since then he is working as a freelance animator in Utrecht. Things You’d Better Not Mix Up has won a number of awards, including the KLIK! Amsterdam Animation Festival 2010 Audience Award and has been screened at over a zillion festivals (where it has on occasion been mixed up with a washing machine but they let it run anyway). During the First World War several hundred British soldiers were court martialed for cowardice. In the great majority of the cases the soldiers involved were conscripts who went on to be executed by firing squad. Yet many of these soldiers were suffering from what we now call shell-shock. It was many decades before this issue was finally confronted and the men were given pardons – much, much too late you might well say. Coward is a short film which addresses the often brutal treatment meted out to those men. It follows the journey of two cousins from Northern Ireland, Andrew and James, who enlist to fight in the trenches alongside their countrymen. Like many young men at the time they joined up to both fight for their country and to make their families back home proud of them – they had no real idea of the hell of 1917 Ypres in to which they were about to march. If you teach history or the poetry of World War One (Wilfred Owen suffered from shell-shock himself but as an officer was afforded much better treatment than the conscripted soldiers we see in this film) then I believe that Coward would make a great, short accompaniment to your lessons based around the Great War. It is under half an hour in length and gives great visual insight in to the conditions in which the soldiers were expected to live and fight in the trench – the gruesome discovery of a body in the film is not for the faint hearted however! In the UK I would imagine that this would be suitable for pupils preparing for their GCSE in either history of English but you should be warned that it does contain some strong language. Yet Coward does provoke thought – and so discussion – about how ordinary soldiers were treated in World War One. 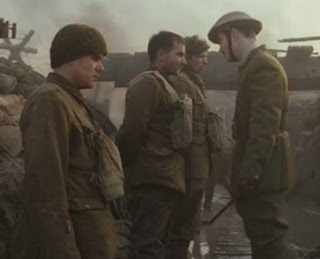 Their absolute disconnect from the natural world is extremely well portrayed here and Coward very ably shows the journey from young, well-scrubbed enlistees to battle weary troops to court martial to execution. Coward was directed by David Roddham and produced by Dave Komaroni with cinematography by Stephen Murphy. 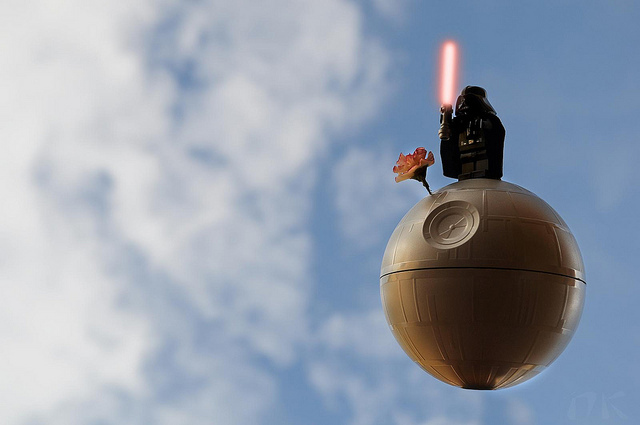 While flicking through Flickr today I came across this take on Darth Vader by Nukamari. In it, Darth is imagined as the Little Prince, from the novella by Antoine de Saint-Exupéry. The novel which most read and most translated book in the French language tells the story of the boy who fell to Earth, effectively – and if you haven’t read it then please, add to the overall richness of your life by doing so soon! This stunning video features timelapse sequences from 12 different locations in the northern part of the Himalayan region of Ladakh. Here we get to see Pangong Tso lake,Tsomoriri lake,Kargil, Leh,Khardungla Pass, Nubra Valley, Diksit Valley, Likir Monastery, Chang La Pass and Moonland. It was shot and edited by Panidhar Revanur using the Canon 5D Mark II and Canon 500D with Magic Lantern firmware. It’s hard being a teenager these days, really, so much more so than when I was younger (ah, the eighties, the world was a mess but our hair was perfect). Plus there are so many five minute fads that the average teen these days doesn’t know which way to turn. If you’re trying to sell a bike, then the next big thing might just get in your way, too. This is a very short but sweet film written and directed by Ninian Doff. 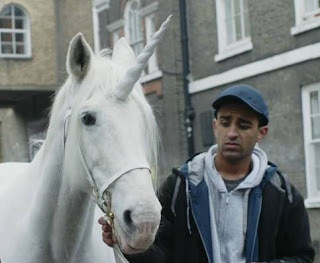 It features Alex Harvey, Nathan Bryon, Abrahim Jarmin and, of course, Chrystal the Unicorn. You can't beat unicorns. Unicorns are cool. Getting the right balance in any media when it comes to the subject of bereavement is a difficult task – to do so in a wordless stop-motion short is something of a miracle. Yet this is what director Bianca Ansems and her team manage to pull off in Playing Ghost, a 2011 graduation animation film from the National Film & Television School in the UK. It tells the story of a mother and daughter, directly after the premature death of the man who was husband to one and father to the other, and how they come to terms with the huge, unspoken gap now present in their lives. It’s a very touching short film, produced by Andrew Start and deftly and sensitively written by Catriona MacLean. 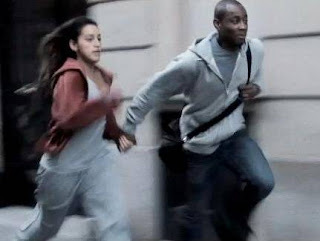 Little wonder, then, that Playing Ghost has gone on to win a number of awards, including the Grand Jury Award at Hollywood International Student Film Festival. Way back in 1898 a doctor, Louis Perrier bought a spring in the south of France and ran a commercial spa there; he also bottled the water for sale. Amazingly that was 150 years ago and Perrier have decided to celebrate this amazing landmark with another one of their very cool (appropriately enough!) advertising campaigns. This time, our friends at the ultimate refreshment beverage have unveiled the Secret Place. 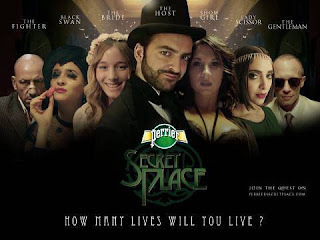 It is one of those digital experiences that, after you have immersed yourself in it, you will get the feeling that you have just been in an interactive movie – and that’s because it is exactly what Perrier’s Secret Place is. There are sixty (count them!) characters at the Secret Place Party. You can live the experience through the eyes of any of these characters and you also get the opportunity to enter a sweepstake for an invitation to one of five of the wildest, most exclusive parties on the planet. Secret Place is a very cool combination of gaming plus brand experience. What you need to do is to find the five clues that will lead you to a hidden (but very special) Perrier bottle. The prizes are amazing too. You will get the chance to win a voyage for two to Carnival in Rio, Ibiza in Spain, St. Tropez in France, Art Basel in Miami or New Year's Eve in Sydney, Australia – all of which are amazing places to visit, particularly if you are a Perrier prize winner! One winner will be selected in a random drawing each week for the five weeks of the campaign. As well as the competition you get the opportunity to take part in a cutting edge Web 2.0 experience. Click on the links at the end of either video in this feature to get to the website and begin your Secret Place experience! Robert has a dull security job but while doing his rounds one evening he comes across a monster costume. 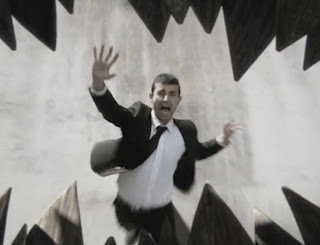 He decides on a prank but it is one which spectacularly backfires as the locals, fired up by recent news reports of a sea monster, form a hunting party (the type you see in all those Frankenstein movies) and hunt him down. You just have to love an angry mob in this sort of movie! If you are researching the history of Google for a high school presentation – or just want to know learn more about the history of the online behemoth without reading anything, then this motion infographic should be just up your street. As you can embed Vimeo videos with ease in to a PowerPoint presentation this would make a great addition to your slideshow. Of course, it only tells the bright and shiny side to Google’s history (like the company’s on-going commitment to green energy) but is full of interesting facts such as Google’s assets are so humungous that they could give each and every person on the planet a free trip to the movies. Someone’s spotted the zeitgeist. A Twirling Day is the latest short by ModernEye (a creative studio / director duo based in London) and it captures very well the sense of absurdity many people feel in this day and age about the decisions they have to take. You know the ones, the ones which we have to make even though we know there isn’t really any possibility of us having any control over them whatsoever; the kind of decision that just seems to be fate playing another one of her practical jokes on you. Directed by Jon Uriarte, and starring Alberto Rolan as the Everyman figure, A Twirling Day is not guaranteed to lighten your mood but I think a number of you may recognise yourself somewhere in here. This is the story of a young girl and a young boy, Abel and Apolline. Apolline lives in the summer and Abel lives in the winter and so by their very natures they are never supposed to meet – there must always be a barrier in between them. Yet the two children live isolated lives and it is only a matter of time before they come across each other in the forest in which they dwell. Yet when they do meet – and summer and winter collide – they soon realise that to co-exist is much more difficult than either of them may have imagined. This is a very sweet if not somber animated short, directed by Carlos De Carvalho and Aude Danset and I found it entrancing. It is almost, I imagine, like a long lost piece by Antoine de Saint-Exupery, discovered and brought to us for the first time. 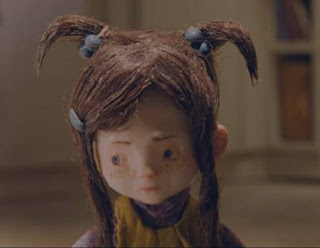 It also goes to show that animation aimed at children does not necessarily have to have a happy ending and that, on occasion, bitter sweet tells the best tale. 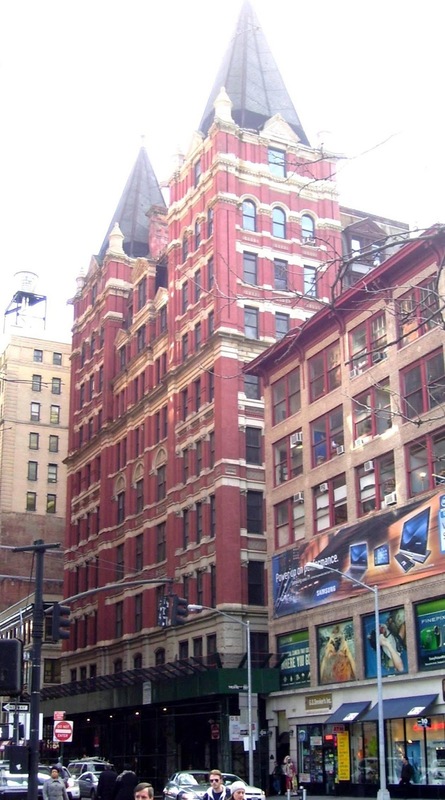 When it was built in 1881-83, 5 Beekman Street was the first high rise building in New York. Things have changed on the street outside but 5 Beekman has been closed for many years, frozen in time. It is set now to become a luxury hotel which will open in late 2014. 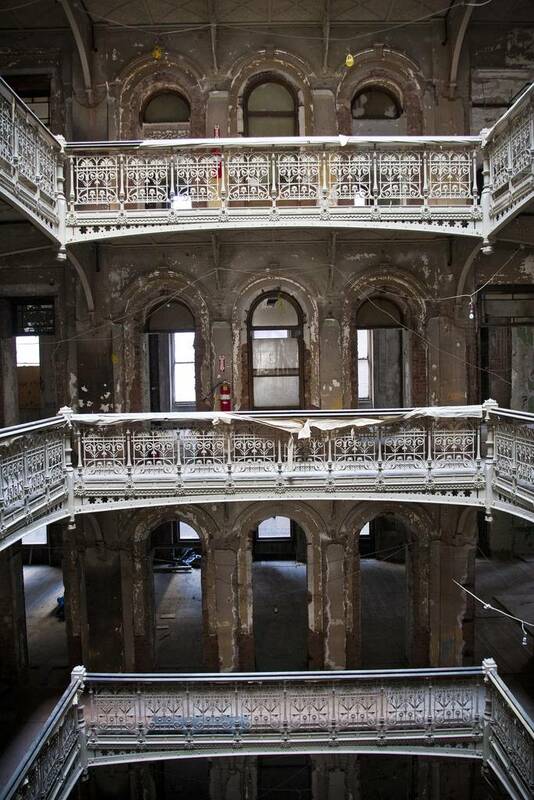 So, here’s an opportunity to see 5 Beekman before it is restored - a slice of Manhattan's hidden history. To keep up to date and learn more, go to the official website. 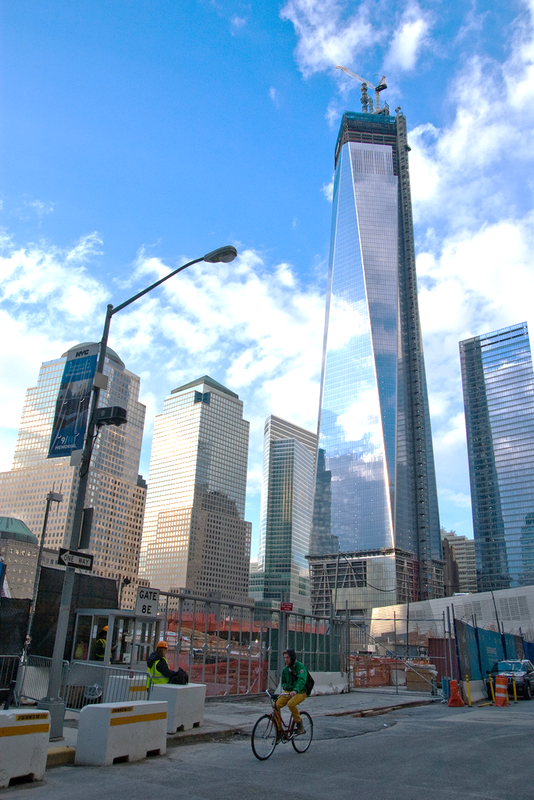 The building was originally called the Kelly Building, named after the drygoods retailer and banker Eugene Kelly, a first generation Irish immigrant who funded its construction. 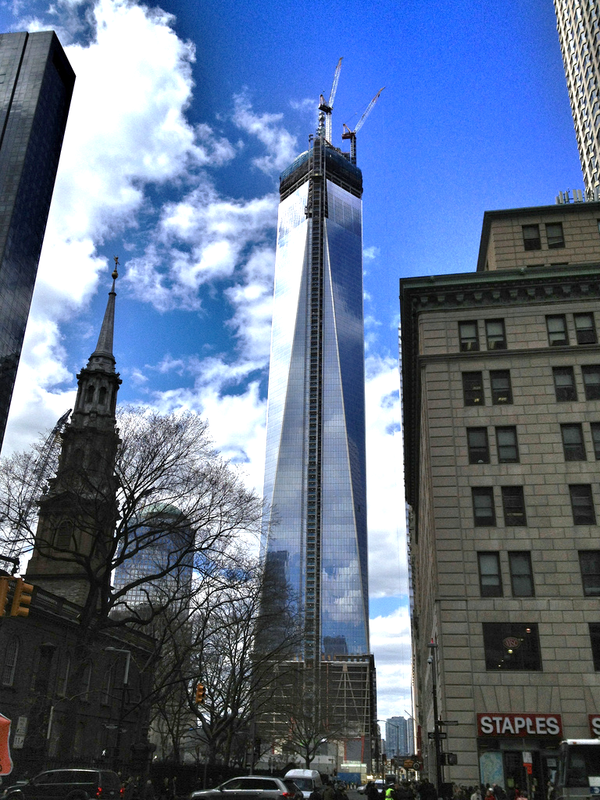 Kelly was a man of immense wealth, he had a fortune of over $600 million dollars. As you can see from the pictures, the building was opulent to say the least – it cost $400,000 to build.